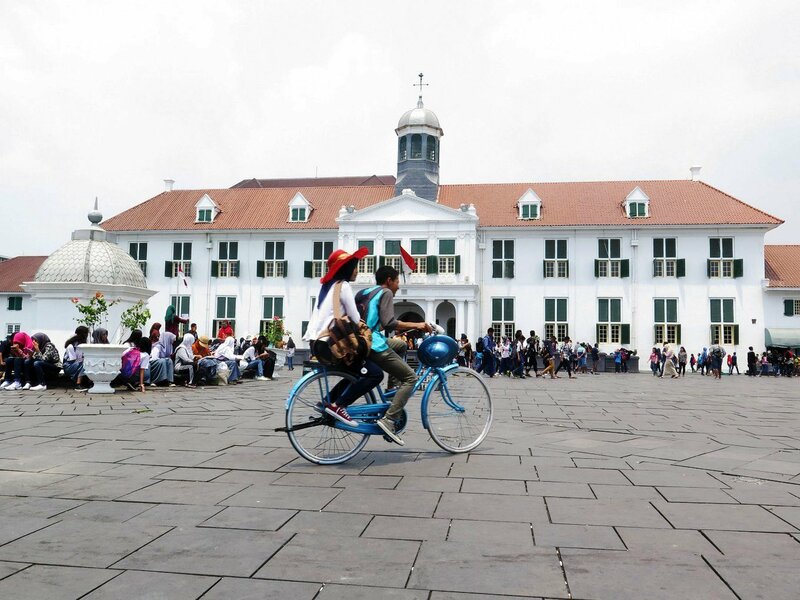 Located within North and West Jakarta, Kota Tua was named the most-visited destination in Indonesia this year by image-sharing platform Instagram. Kota Tua, which is popular among domestic and foreign tourists, is home to historical buildings. It also has an open space area named Fatahillah Square, where visitors can ride sepeda ontel (antique bikes) or take photos with living statues. Following Kota Tua, the next most-visited destinations in the archipelago are Soekarno-Hatta International Airport in Tangerang, Banten, and Jl. Malioboro in Yogyakarta in second and third position, respectively. Meanwhile, other places on the list are Kuta Beach in Bali, Bromo Tengger Semeru in East Java, Pangandaran Beach in West Java, Prambanan Temple in Yogyakarta, Losari Beach in South Sulawesi, Sacred Monkey Forest Sanctuary in Bali and Pine Forest in Yogyakarta.